Allied Cash Advance is here to lend a helping hand when everyday life leaves you strapped for cash. With us, you have a variety of products to choose from and our friendly Hampton associates are dedicated to providing you with fast service and hassle-free options. Looking for a Line of Credit? We offer VA line of credit ranging from $250 to $1500. 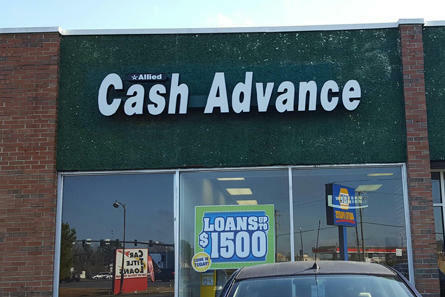 We are proud to serve the Pirates community!You can find an Allied Cash Advance store conveniently located next to NAPA Auto Parts. All you’ll need to apply for a line of credit is a valid ID, an active checking account, proof of income and a working phone number*.